We’ve all heard the horror stories about companies going belly-up in the middle of a home improvement project or simply walking away from the project with all of the customer’s money. Sadly, this sometimes shies people away from finding a Phoenix home improvement contractor or from doing a home improvement project at all. When it comes to finding a good contractor it does take a little research, but it should not be something that you are afraid of and it certainly shouldn’t stop you from having the home of your dreams. Experience – We have all been taught that practice makes perfect; it applies in the contracting industry too. The longer someone has been a Phoenix home improvement contractor the better they’ll be. They know the area, they know the materials, they know installation and they normally know how to lead a crew. Positive customer reviews –Don’t just look on their website for customer reviews; websites only show you the good reviews. Google the company, ask people you know and research, research, research. If they have done bad work, it won’t be hard to find. 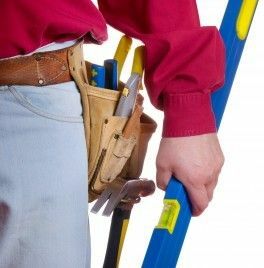 Guaranteed work – All of the work a contractor does should be guaranteed. Some companies guarantee their work as long as you live in the home, others only guarantee if for a certain number of years. No matter what your preference, make sure it’s guaranteed. Take time – When you remodel your home or a section of your home you want to make sure that you are getting exactly what you want and need. It’s important that your contractor takes the time to listen to what you want in order to make it happen. Republic West Remodeling is a highly reputable Phoenix home improvement contractor. Experience – Our team has a combined 125 years of experience in the industry. We’ve completed over 15,000 home improvement projects. Our team is very knowledgeable about what they do and strive to learn more all the time. Positive customer reviews – It is our goal to satisfy each and every customer that comes to us. If someone is unsatisfied, we fix it! Over half of our business comes from referred customers and return customers. Guaranteed work – Not only do we guarantee our work, we guarantee our prices at the beginning and we guarantee your project will completed within a few days of the estimated time. Take time – All of our team members take the time to listen to each customer and help them plan their dream home. We have a program called the “Dream Assurance Plan” and the goal is to provide you with exactly what you want without surprises. It’s based on the belief that home improvement should be a joyous time for you and your family and that the end result, and everything leading up to it, should be to your complete satisfaction.